I was diagnosed with Lyme disease in 2004, but it would be several more years before I would fully grasp the reality that I wasn't just sick because of a handful of tick-borne infections. Rather, a multiplicity of environmental toxins and other societal factors had caused the demise of my body and mind- and I would need much more than antimicrobial remedies to heal. Years of medical research have since taught me that healing chronic Lyme disease is about more than just eliminating a few bugs. I just finished writing my fifth book, which is entitled, Beyond Lyme Disease: Healing the Underlying Causes of Chronic Illness in People with Borreliosis and Co-Infections. It describes the principal causes of illness in people with Lyme disease, besides Borreliosis and co-infections. 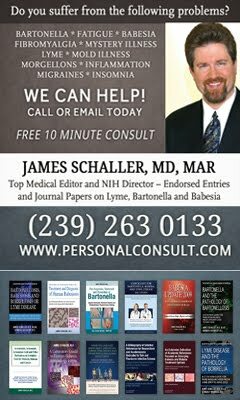 Most people who have studied chronic Lyme disease for any length of time understand that chronic Lyme disease causes many problems in the body, which must be treated apart from Borrelia and co-infections, but not everyone knows that infections aren't always the main cause of symptoms those with Lyme disease. Sometimes, dormant infections emerge as a byproduct of other problems in the body, and are not the main cause of illness. From my perspective, the Lyme disease community has placed too much emphasis upon treating Borrelia and co-infections, and not enough upon the other underlying factors which caused the immune system to be dysfunctional in the first place. Therefore, my new book, Beyond Lyme Disease describes what some of those factors are and, how to treat/remove them, so that the body can fully heal. If you have been diagnosed with Lyme disease, or know somebody who has a chronic illness of unclear origin, please read this book (which will be available for purchase in 4-6 weeks on Amazon.com, as well as on a website that is currently under construction), and share it with others. I have seen too many people remain ill after years of antibiotic and other antimicrobial treatments, simply because these other causes of disease were either not acknowledged or were inadequately, or improperly, addressed. My hope is that this work would provide greater insights into the healing process, so that you or your loved one would experience a more complete recovery. 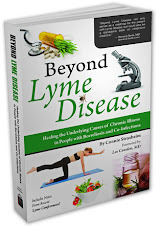 To be notified when Beyond Lyme will be available for purchase, please check back at this site or sign up to receive my publisher's newsletter at: www.lymebook.com/newsletter. I want to share with you that The Biological Medicine Network (www.biologicalmedicinenetwork.org) is presenting the two day seminar "Perspectives on Lyme Disease: A Biological Medicine Approach" in New Bedford, MA on September 20-21. It is also sponsoring an evening lecture with Thomas Rau, M.D. "Treating Tick-Borne and Chronic Infectious Diseases with Biological Medicine" in New York next October 8th. All chronic illnesses and diseases are caused by nutrient deficiencies and not genetics, nor anything else. 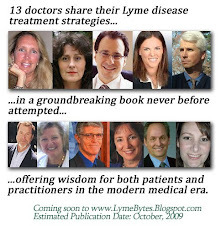 Dr. Joel Wallach and Dr. Peter Glidden can get rid of Lyme disease and every other disease. They both have other videos on YouTube. They both have internet radio shows Monday through Friday.